McMinnville has recently joined the Republic. Our McMinnville location boasts the 41st Tan Republic franchise with nine beds ranging from 20 minute silver beds to high pressure diamond beds. 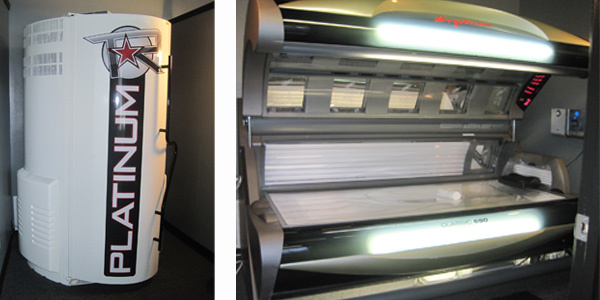 The McMinnville location also features UV free tanning with our mystic booth. For pricing and details call Tan Republic of McMinnville at 503.472.3022. Newberg has 4 sunstar 30 lamp beds. Reserve your bed by phone up to 48 hours in advance. Tan from 5 a.m. to 9:30 p.m. weekdays and 7 a.m. - 4:30 p.m. on weekends. We also carry a complete line of tanning products and lotions. Come by and check out our competitive prices!